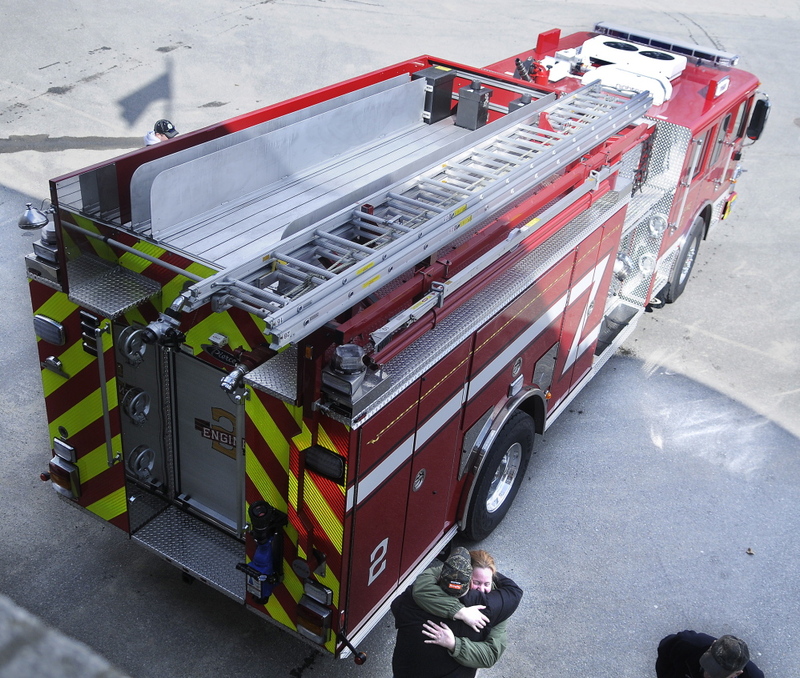 The $499,000 firetruck was delivered by Amy O’Neil, a Freeport firefighter whose father, late Augusta firefighter Daryl Parker Wells, died during a training exercise in 1987. 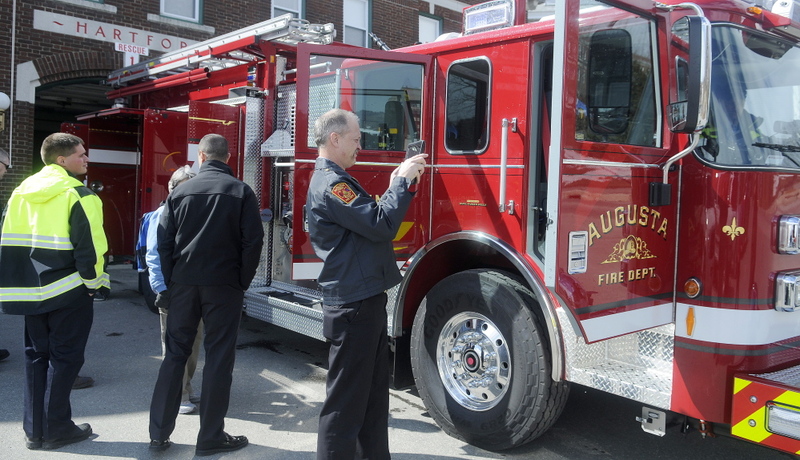 AUGUSTA — The Augusta Fire Department on Tuesday took delivery of a 2014 Pierce Saber Rescue-Pumper. The $499,000 truck will replace a 29-year-old engine that is being taken out of service. Augusta Fire Chief David Groder said the new engine carries 1,000 gallons of water and is outfitted with extra compartment space for emergency medical supplies, extrication equipment and other tools for technical rescue. The new rescue pumper will bring the city of Augusta back up to four engines in service. The new truck is named after Daryl Parker Wells, an Augusta firefighter who died during a training exercise in the city in June 1987. Wells’ daughter, Amy O’Neil, a firefighter in Freeport, helped deliver the truck to Hartford Station on Water Street. Wells was recognized by Maine Legislature, according to the legislative record for June 8, 1987. Rep. Ernest C. Greenlaw, of Standish, addressed the House floor, saying Wells was his friend. The city’s Bangor Street fire station already bears Wells’ name.